No Mess – Pour or pump lubricant directly into the duct. Low Viscosity – Makes pouring lubricant cleaner, faster and easier. Easy to Pump – Ensures proper lubrication during longer pulls. Cold Weather Formula – Lubricant can be used for year-round cable installations. 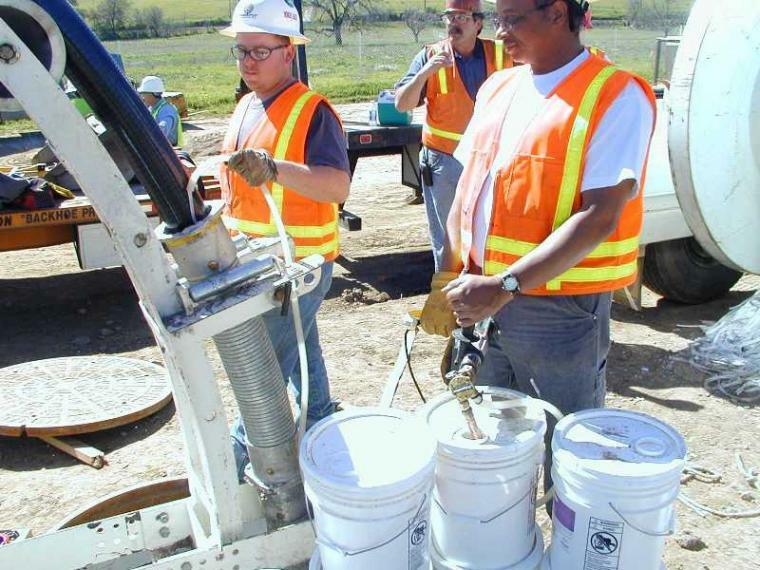 Quantity – Use one gallon of lubricant per 100 feet of cable installed. Polywater® PJ offers the same high-performance factors as heavy duty Polywater® J. Polywater® PJ matches Polywater® J’s high lubricity and cable jacket compatibility. 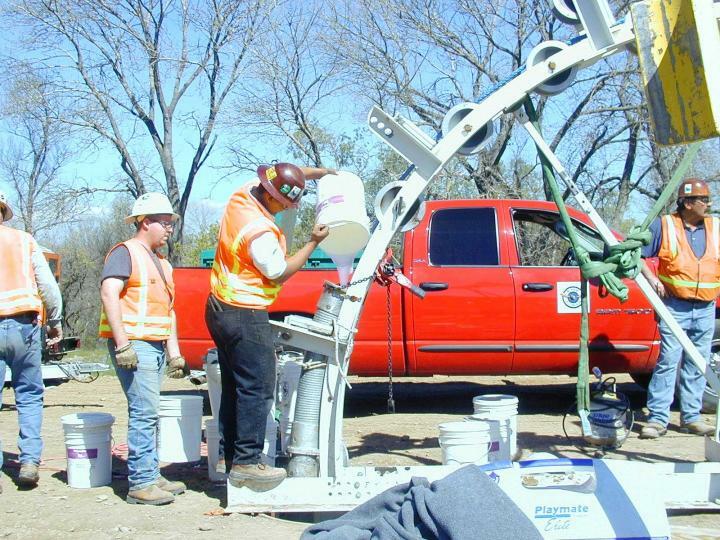 When coupled with its low fire propagation properties and ease of clean-up, Polywater® PJ is the best choice for installations where pouring or pumping are more efficient methods of lubricant application. The thicker gel version of Polywater® J is recommended where pouring is not practical. For information see sidebar. * Polywater® PJ is not recommended for LSZH/LSHF and certain CSPE and CPE cable jackets. For these jacket types, Polywater® LZ is the recommended/approved product. Polywater® PJ comes in two grades: regular grade (PJ) and winter grade (WPJ), for cold weather use in temperatures as low as -20°F (-30°C). Polywater® PJ can also be pumped using the LP-3 Hand Pump or the LP-D5 Drill-Powered Pump. For information see sidebar.